Blessings to you and your loved ones this holiday season! Blessings on all you’ve accomplished over this past year. Blessings for all the difficult terrain you have covered and uncovered this year. Blessings to keep you strong and filled with new inspiration. Wishing you blessings of good health, contentment, and a love that grows fonder and sweeter each and every day of 2017. The Capricorn ♑ New Moon took place earlier this morning on Thursday, December 29th 2016 @ 1:53 am EST. Please click here for some more themes and qualities that Capricorn Moon energy brings and examples of wishes to make on this New Moon. Here are some ideas on How to Make New Moon Wishes Part 1, and Part 2. If you feel inspired, please feel free to share how you invite New Moon energy into your heart and home by leaving a comment with this post. We could learn from each other by sharing our own experiences. An insightful tip from reading April Kent Elliott’s wonderful book called Practical Astrology concerns another factor to consider when writing our New Moon wishes, it’s the placement of the New Moon in our birth chart. For example, this New Moon is at 07˚ Capricorn 59′. This will be positioned in one of the twelves houses of our birth charts and it represents an area in our life that is ready to receive our New Moon wishes. In other words, the soil has been tended to, it’s nutrient rich and perfectly awaiting new seeds to plant. 1st and 7th Houses: personal improvement and better relationships. 2nd and 8th Houses: improved financial conditions. 3rd and 9th Houses: better communication, travel, visitors, knowledge and insight. 4th and 10th Houses: an improved living situation or career success. 5th and 11th Houses: creative inspiration, friendships, fun. 6th and 12th Houses: good health, peace and enlightenment. If you don’t have a birth chart dear Well Wisher that can be easily remedied! 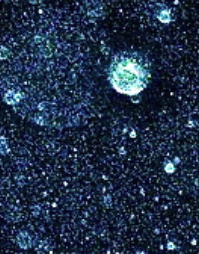 Just go to Astrodienst’s website www.astro.com. You will need your birth date, birth place and time of birth. As we make our wishes this New Moon in Capricorn and as new insights arise in the upcoming month, may all y(our) heartfelt dreams come true! Come back and share your joys, we’d be delighted to hear about them. 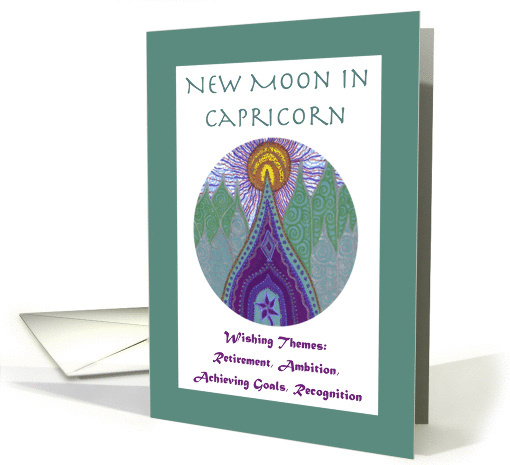 This entry was posted in Capricorn New Moon, New Moon Wishes and tagged artwork by sri devi, heart to art cards, how do i write new moon wishes, how to make wishes on the new moon, making wishes on the new moon, new moon greeting cards, new moon in capricorn, new moon in capricorn 2016, new moon rituals, new moon wishes december 2016, new moon wishing, positive qualities of capricorn, wording for new moon wishes. Bookmark the permalink.